This Friday, Jan. 4, 2019, photo shows Hacienda HealthCare in Phoenix. 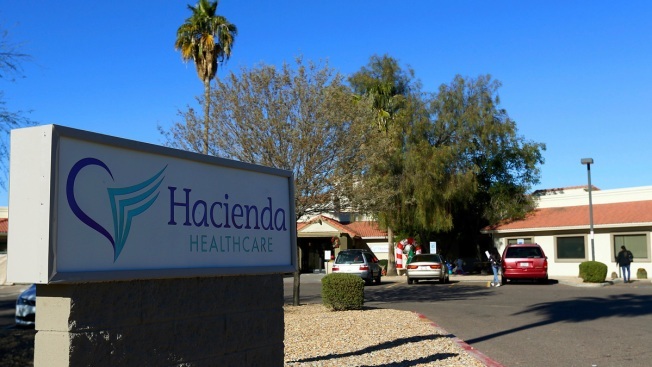 The revelation that a Phoenix woman in a vegetative state recently gave birth has prompted Hacienda HealthCare CEO Bill Timmons to resign, putting a spotlight on the safety of long-term care settings for patients who are severely disabled or incapacitated. One doctor was suspended and another resigned from a long-term care facility in Arizona after a woman in a vegetative state gave birth there last month, the facility said Monday. The unidentified physicians were responsible for the woman’s care, Hacienda HealthCare said in a brief statement reported by NBC News. The woman, 29, and a member of the San Carlos Apache Tribe, has been at the privately-owned facility for roughly a decade. She almost drowned when younger and is non-verbal and incapable of moving on her own. The woman gave birth to a baby boy on Dec. 29.